Laxmi | the art of oil cleansing in your shower — To Be Magnetic™ | Manifest the life you deserve for less than a dollar a day. I must admit that I’m very late on the face oil cleansing train. I’m notoriously the old fashioned “sudz to prove my skin is squeaky clean” kind of gal. However, due to mixing retinal back into my anti-aging regime, I’ve noticed my skin feeling a bit dryer than usual this winter, so I’ve journeyed down the wonderful world of trying oil cleansers. Once I was introduced to Laxmi cold-pressed triple M oil (Mongongo, Marula, and Moringa oils), by Ayla Beauty and realized that it not only cleanses your face, but also doubles as the perfect moisturizing booster with my daily moisturizer (two drops goes a long way), I was hooked. 2-in-1 for the price of $24. Um..Done! I decided to take the advice of their mega talented holistic facialist Kristina Holey, and apply the oil to my face before the shower. This allowed the steam from the water to help the fatty acid-rich Mongongo oil, which is a wonder at dissolving hardened oil and debris stuck in skin’s pores, work even harder. 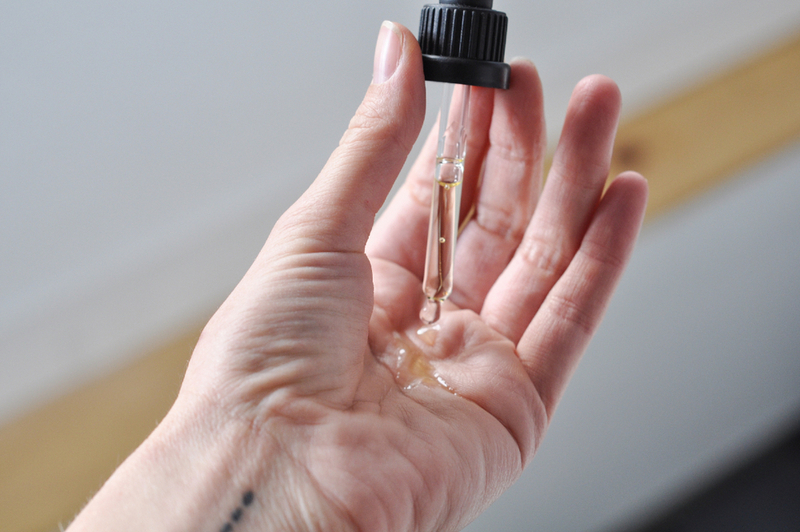 Whoa, the act of oil cleansing during the shower is like a mini facial. Between this and cleansing my liver during my mini-detox, my skin has looked nineteen again! Needless to say, I’m a full oil-cleansing (and steam oil cleansing during showers) convert. And I’m extra happy that this little bottle has now replaced two big bottles in my facial regime—especially during a time of so much travel.